Above and beyond general maintenance and repairs, all landlords must take a proactive approach to preventing health hazards within their rental properties. Many health hazards can be eliminated altogether by scheduling ongoing inspections and preventative care. Landlords may also want to insert clauses in their lease or rental agreement regarding the potential for health hazards, as well as to instruct tenants on the preferred method of notifying property management of infestations or potential health hazards. Some of the most common health hazards landlords must keep in mind and prepare for are detailed below. Consistent exposure to mold can lead to respiratory issues, but infants, children, the elderly and anyone who has a compromised immune system are particularly at risk. Mold thrives in damp and wet conditions, such as around windowsills where condensation has accumulated. While it is a renter’s responsibility to clean areas that are easily susceptible to mold, such as windowsills and bathtubs, it is a landlord’s job to ensure that all water damage is repaired in a timely manner. This means that any plumbing leaks, cracks in the foundation, or leaking roofs must not only be repaired as soon as possible, but the surrounding areas must be inspected to ensure that mold has not set in. This is not only essential for reducing health hazards, but for maintaining the property’s value as well. Landlords must take a proactive approach to testing for asbestos, particularly if their rental properties were built before the late 1970s. Everything from hot water pipes, oil and coal furnaces, roofing, siding, insulation, walls, and even flooring may contain asbestos. If asbestos is found, landlords may have to invest a significant amount of money in bringing their property up to code. However, this expense is likely to be far less costly than the consequences a property owner may face if he or she do not ensure their property is adequately inspected for asbestos. Depending on the climate and terrain in which a rental property is located, the pests to which it is susceptible will vary. Infestation can also vary depending on the building materials a property is built from. Some of the most common pests include mice, cockroaches, squirrels, and raccoons. On top of that, pests such as bedbugs are on the rise around the world. Landlords should consider annual or biannual treatments to keep their rental properties free from pests. They must also ensure that their tenants understand the importance of reporting infestations in a timely manner. Landlords must install the appropriate number of carbon monoxide and smoke detectors throughout their rental properties. While renters are frequently responsible for testing and maintaining the batteries in the detectors within their rental, it is the landlord’s responsibility to ensure the appropriate detectors are present. 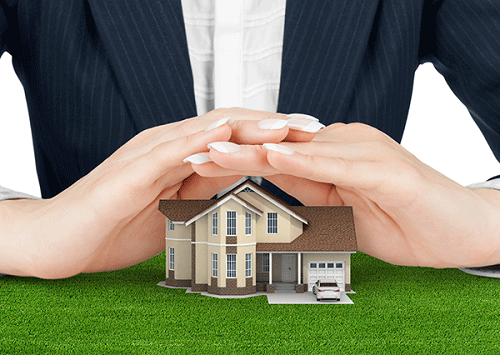 These are just a few of the health related factors all property owners must consider. Housing.com agrees that landlords should customize their lease to ensure that it adequately covers all maintenance and upkeep for which renters are responsible. Whether renting out commercial or residential properties, landlords must ensure that their properties are a healthy and safe place for their tenants.